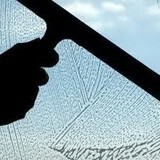 We are a professional window cleaning service for commercial and residential properties in the Bay Area. We have been in business since 1986. We are the “letting the light in” people of our community. 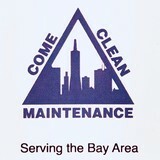 Our staff is timely, efficient, careful, detail oriented, and friendly as well as professional. These are just some of the reasons why we carry such a large repeat clientele and have established over 25 years of service in the entire Bay Area. We are bonded, and we carry worker's comp and commercial liability insurance. Our prices are reasonable, and competitive. Call us for a free estimate. 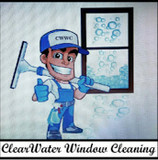 What is "DI Water" cleaning? DI stands for "deionized," water from which all the mineral "ions" have been removed, leaving only pure H20. As this water has no electrical charge, it magnetically attracts all positively and negatively charged particles("dirt" to you and me), literally pulling the dirt into the cleaning water without the use of harsh chemicals or detergents. A gentle, bioderadable, dish soap is all that is ever needed. Absolutely no harmful chemicals in your home or business! Daniel E. Mount has been in the commercial cleaning business for close to 40 years. 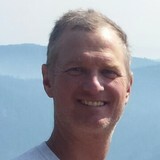 Due to his life long commitment to the environment and holistic health, Dan was an early convert to "green" cleaning. The Unger DI water system is producing the best results of his career. In his freetime, Dan enjoys playing flamenco and blues guitar. Acme Anything’s full-service maintenance team has got your back. As our name implies, we will solve just about ANYTHING! We have yet to encounter a request we can’t handle. We are proud to offer more services than other property maintenance companies – from bird-proofing to building brick patios – we do it all. Think you can stump us on a request? Just email us to find out! Or give us a call. Our friendly staff can take the stress off your shoulders and organize the details for you. Take a look below for a few examples of the services we offer.